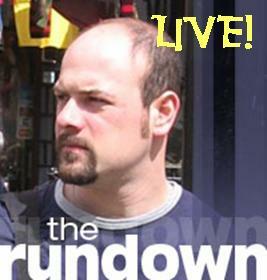 Welcome to the Rundown Podcast. Here I give and get The Rundown on social media and all things Public Relations and Digital marketing on the web. Episode 2 of The Rundown Podcast introduces co-conspirator and co-host Ashley Mead. We discuss some recent Twitter-related events and at least one cautionary tale regarding the always-on, always-linked web. We also welcome back Matt Dickman, the Techno//Marketer and get his thoughts on twitter transparency. 12:16 What is Being Posted About You, by you, that you don’t even know? Don’t hesitate to send in audio or text comments, questions, feedback and anything else that suits your fancy. I reserve the right, of course, to play or read any and all of your comments as well as delete them without a second thought. But don’t let that stop you from giving it a shot! Please let me know what you think via email or leave an audio comment at: +1 206-984-4232.